Canada Goose designed the new Summit Jacket with the Mountaineer Jacket as a starting point, but this jacket is lighter in weight and incorporates many of the features of a classic quilt-through parka. 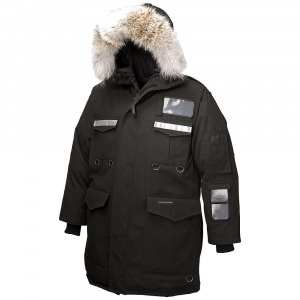 Its cut longer in the back for greater protection and warmth and offers versatility with its removable hood and adjustable cuffs. Mountaineers climb The Pfeifferhorn in Utah's Wasatch Mountains during the dead of winter to train for Mount Everest, because the conditions resemble Everest in the spring. 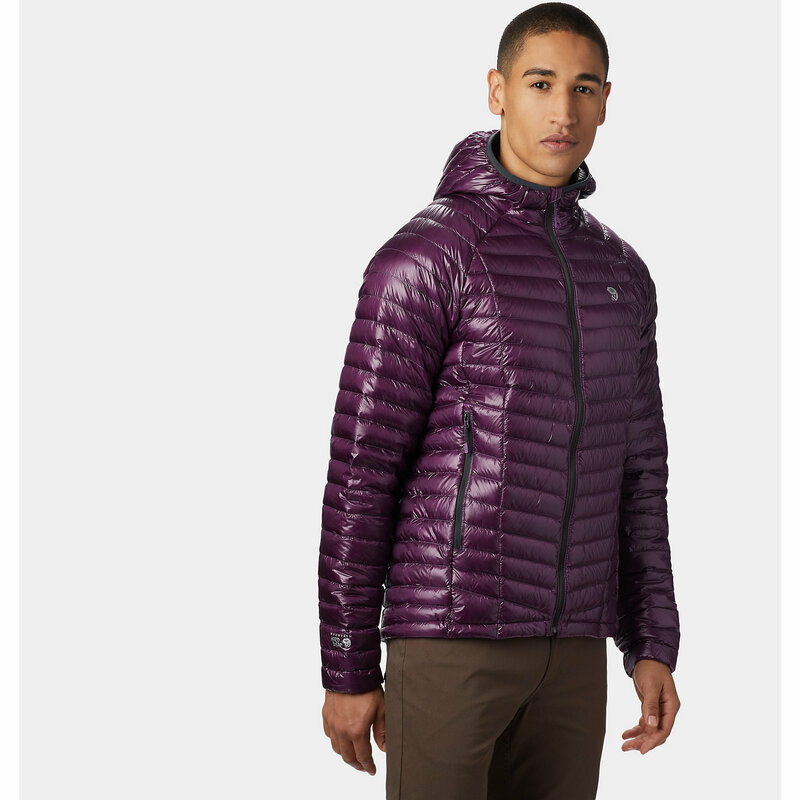 The Canada Goose Summit Jacket is ideal in such a place. It is the lightest jacket in Canada Goose's Altitude Line, but incorporates many features you'd want in a classic down parka. The Summit is stuffed with premium 750-fill power Hutterite white duck down, which provides superb warmth and loft, and the ISO Peak 2- layer ripstop nylon with Durance laminate keeps harsh weather out. 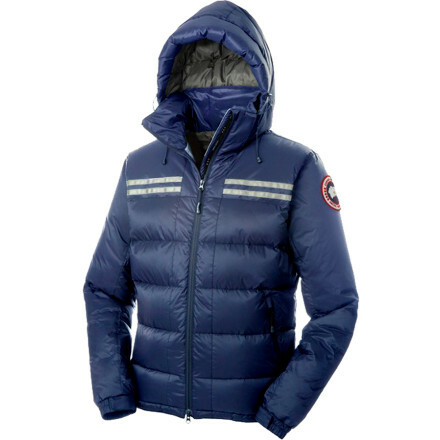 Canada Goose has rated the Summit for cold temperatures, ranging from 5 through -13F There are overlays on the sleeves and hood to protect from moisture, while the hanging lining is for wind-proofing. No matter what challenges you face during variable weather, you'll be covered (literally) by the extended back cut of this jacket. 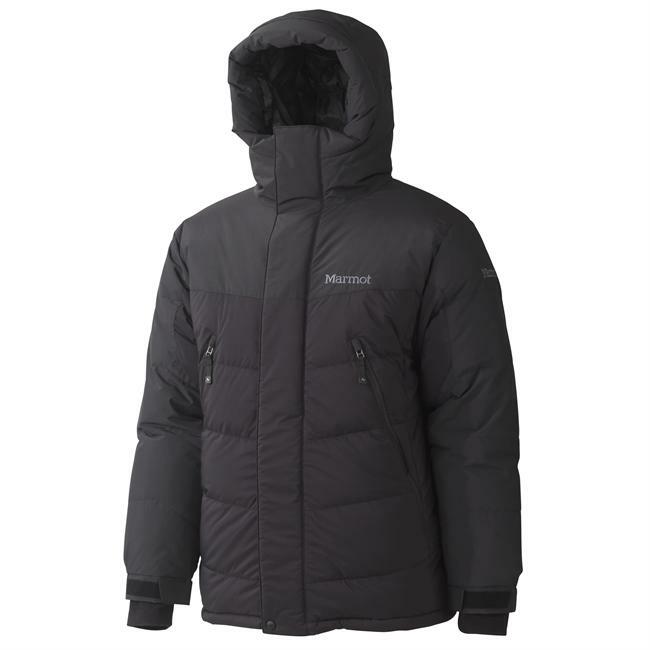 When you are marching through technical terrain, you don't want to fuss over adjusting your jacket, so the Summit has a removable two-way adjustable hood with single hand adjustment and a single hand adjustable and elasticized hem draw for ease of use while in action; there are also adjustable cuffs for ease of movement. You can then easily grab all the essentials you've stashed in the generous amount of pockets, like the inner security pocket with wire port and zip closure, the lower drop-in mesh pocket, or the two handwarmer pockets with reverse coil zipper closures. There's recessed Lycra stretch cuffs with thumbholes for extra warmth. And to top it all off, Canada Goose slapped on some reflective tape for added visibility. Training for Everest all of the sudden got a lot easier. The waterproof, breathable Canada Goose Summit down jacket for men is designed for mountaineers tackling extremely cold conditions. The hood removes for milder days when you're skiing or training. 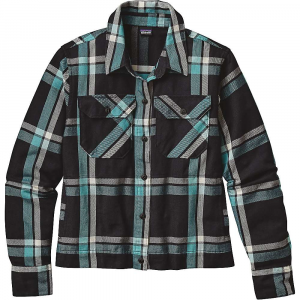 Jacket is insulated with 750-fill-power Hutterite duck down that is extremely warm, lightweight and compressible. Laminated 2-layer hardshell eco-treated ripstop nylon with stretch is extremely light and durable; it's ideal for high altitude performance. Hanging lining increases windproofing. Panels on hood and sleeves enhance waterproofing. 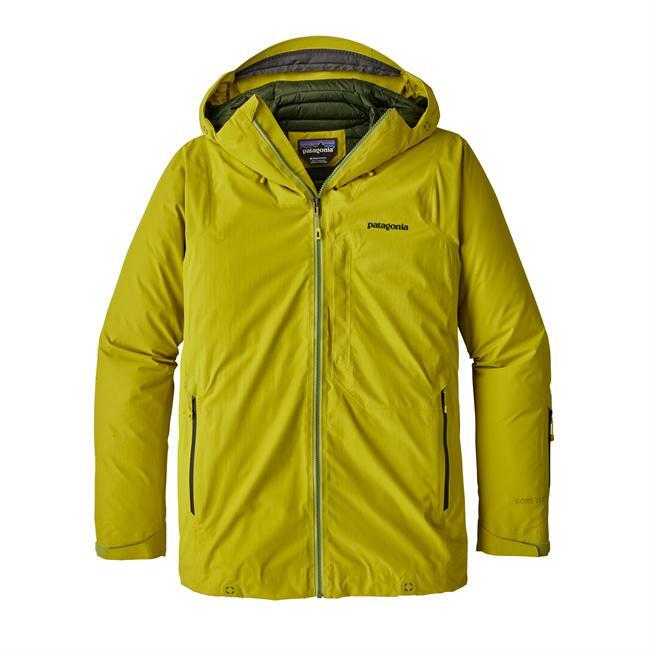 Jacket has a removable two-way adjustable hood with single-hand adjustment for ease of use while in action. Two strips of 3M(TM) reflective tape across the chest and on the back of the hood make you more visible. Single-hand adjustable and elasticized hem drawcord seals out the cold and wind. Single inner storm flap with fleece-lined chin guard. Recessed Lycra(R) stretch cuffs with thumbholes for comfort and warmth; adjustable outer cuff tabs. Inner security pocket with wire port and zip closure; one lower drop-in mesh pocket. Handwarmer pockets with reverse coil zipper closures. Center-front reverse coil YKK(R) two-way locking zipper. Like all Canada Goose down jackets, the Summit down jacket contains only ethically harvested down. 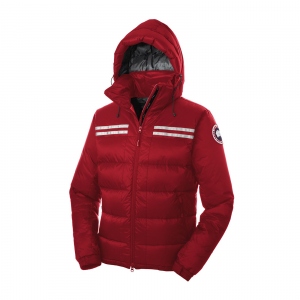 The Canada Goose Summit Jacket is not available from the stores we monitor. It was last seen May 31, 2016	at Moosejaw.